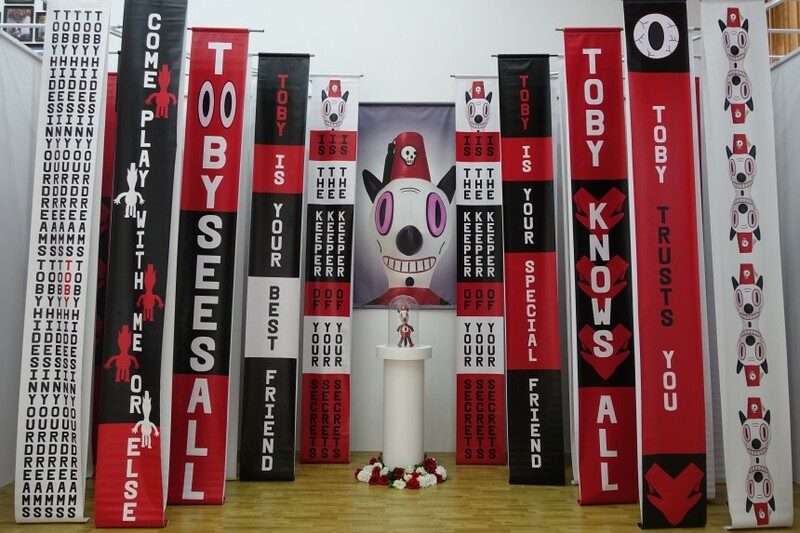 HAPPY TOBY TO YOU! 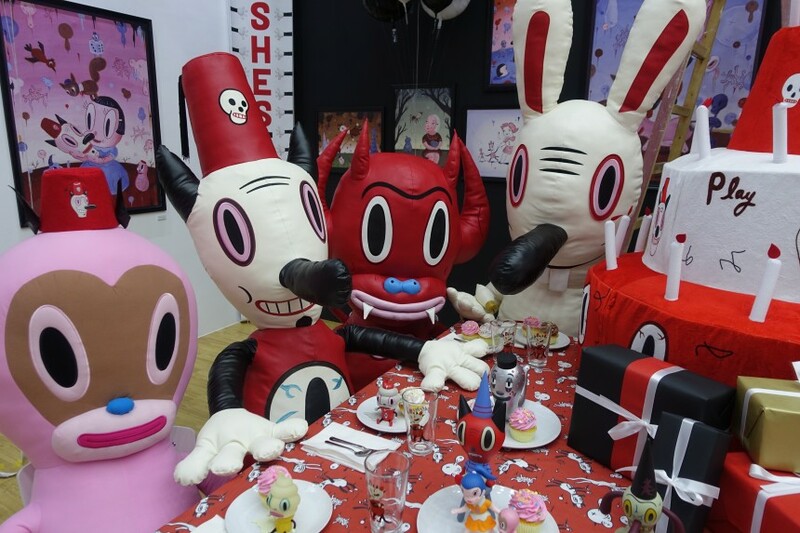 by Gary Baseman is a grand celebration of the artist’s iconic character Toby. 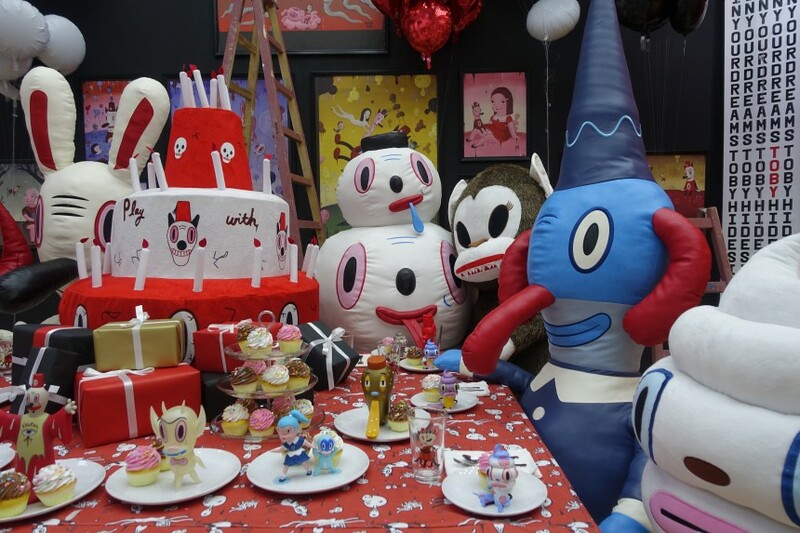 2015 marks Toby’s 10th year as a formal artwork, blurring the lines of fine art and toy culture. 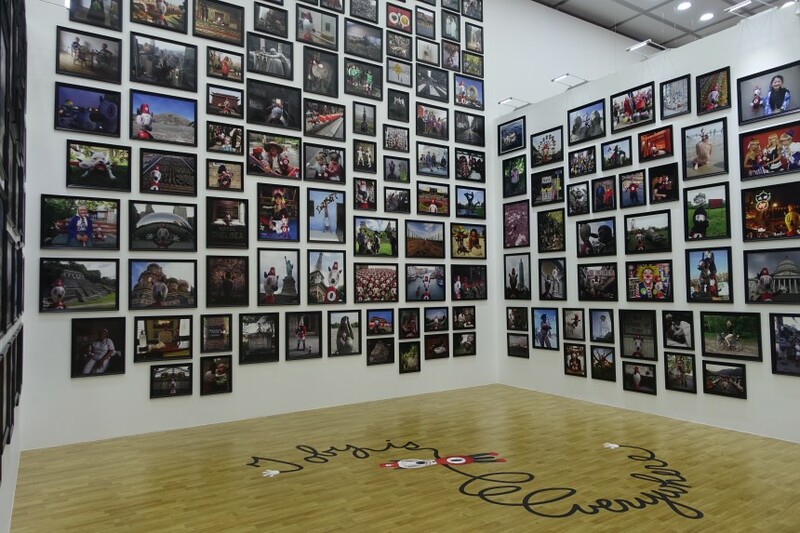 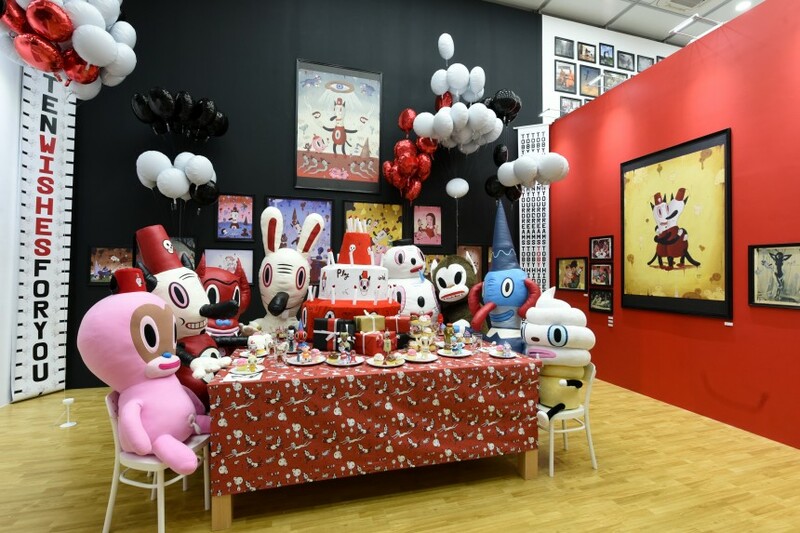 Showcasing works from the first Toby art exhibition, photographs and videos of Toby’s adventurous world travels, and a birthday party installation, this exhibition aims to spread wonder and happiness. 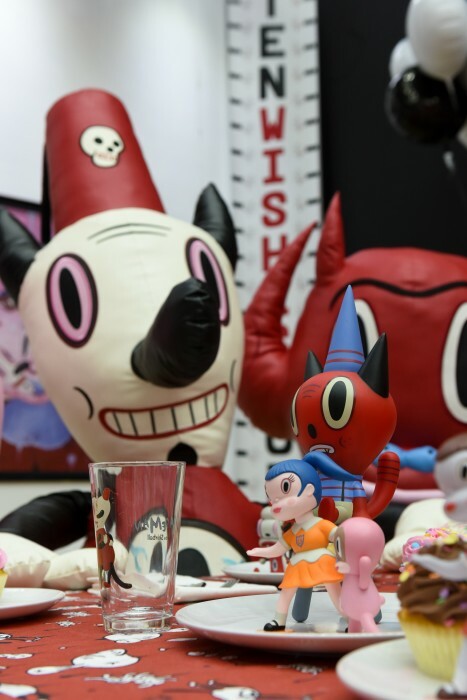 Housed in yet another experiential environment conceptualized by Baseman, visitors will enjoy a new and unique space co-designed by Hjalti Karlsson of New York-based design firm karlssonwilker. 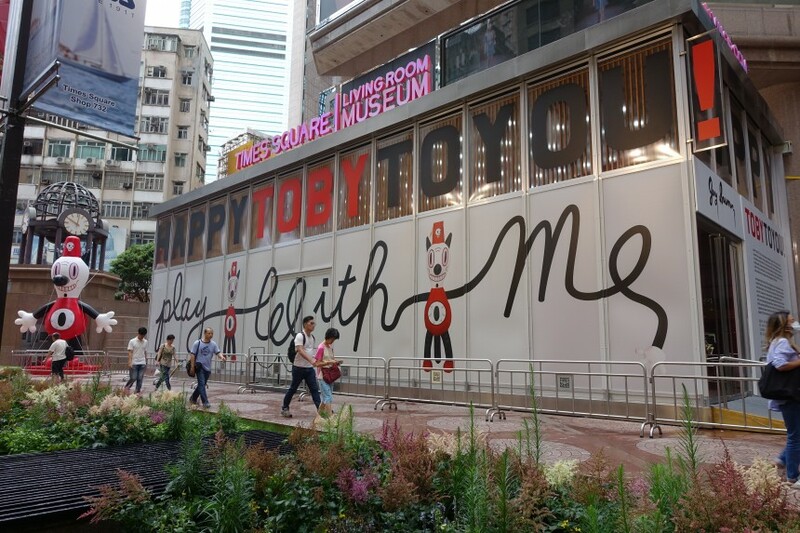 Co-produced with LeBasse Projects and Hong Kong Times Square, the HAPPY TOBY TOYOU! 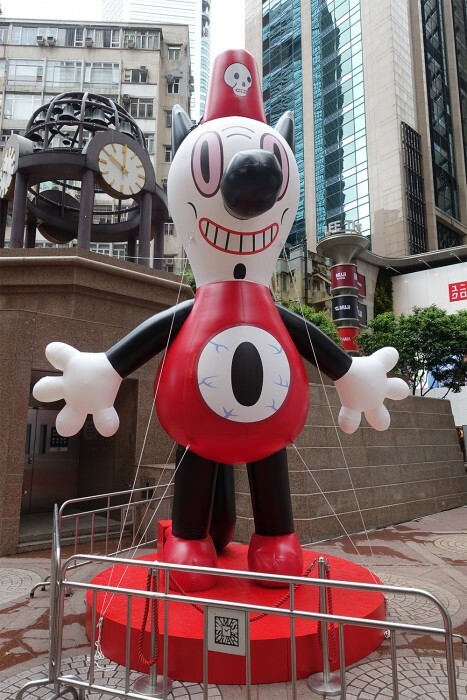 exhibition was on view from May 21-June 11 2015 at Hong Kong Times Square Living Room Museum.